Net Entertainment, which is often abbreviated NetEnt, is a Swedish company that launched in 1996 and has had great success developing video slot machines for online play. The company began largely licensing games to European companies, but its partnerships have increased considerably over the years, which has helped to make it one of the largest and most popular casino game designers in the world. A hallmark of NetEnt games and a primary reason for the great success of the brand is its use of advanced technology. Net Entertainment was one of the first online slot developers to embrace Java, and it used that platform to raise the bar for graphics and performance in online slots. It’s also continued this tradition of automation with platforms like Flash and HTML5. More than 300 licensed online casinos use software developed by Net Entertainment. Some offer nothing but NetEnt games while others mix the NetEnt games into a larger library. The NetEnt portfolio also expands beyond online slots to many different live dealer games and even various mobile apps for smartphones, tablets and other devices. The company has focused primarily on Apple and Android devices, but it has begun expanding support to other mobile platforms via HTML5. Net Entertainment has also played a significant role in the prevalence and size of progressive jackpots online. Its own network is enormous and has resulted in numerous wins in excess of 20 million dollars, which is remarkable for a company that is just 20 years old. In Stockholm, Net Entertainment is listed on NASDAQ OMX, and a public listing says something about a company particularly when you consider that it all started with just a few games at a handful of small online casinos. Although much of this prominence is attributed to innovation, one cannot ignore that the role that sale of the company in 2005 had. That sale provided NetEnt access to a much large network, which it was able to use to expand its products to some of the biggest industry names. By 2006, just a year later, NetEnt had risen to a top 20 position in its market. In 2007, NetEnt boomed and became one of the most recognized online casino brands even among players. Malta licenses NetEnt for the publication and distribution of slot machines and table games. This license is what makes it possible for NetEnt to operate in Germany under applicable EU services law. NetEnt also has full European licensing, which provides consumer protection by ensuring that all software and other technologies are regularly audited by independent authorities. Net Entertainment is known best for outstanding gaming, but the company’s reach goes far beyond that. Within the industry, it also provides multilingual customer support solutions as well as many other different kinds of technical solutions for more than 60 online casinos throughout the world. These partnerships are choices and not a requirement of using NetEnt games. This choice works both ways. NetEnt is very particular about who can license its games and other casino software. Customers trust the brand name, and negative actions from a bad casino could harm that brand value. NetEnt is very consumer-focused. It monitors user preferences and tracks features that users do and do not take advantage of. The developers also place a great emphasis on game flow and performance. Gamers should have fun and not be hindered by performance issues. Another way that NetEnt excels in user experience is having all games support at least 22 languages. 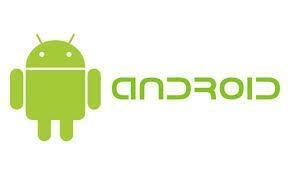 Although NetEnt went all in on Android and Apple originally, times have changed. 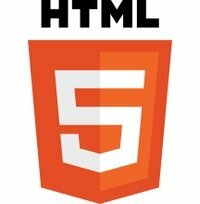 Developing for HTML5 makes more sense for smartphones, tablets and a wide range of other devices, and the company is in the process of transitioning all mobile games and other solutions to HTML5. 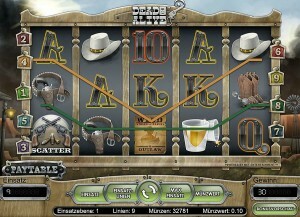 Ask any consumer who knows online slots what NetEnt is best known for and the answer will be the same: graphics. NetEnt excels at 2D and 3D graphics that challenge even non-casino games available on mobile platforms. These games are exciting and new, and consumers want to engage with them. NetEnt also has a first-class management system, and that system has a public interface. Gamers can test performance data, track quotas and even request detailed reports. That high level of transparency helps foster a bond between NetEnt and its customers. Another way that NetEnt caters to customers is by exposing their entire game library for free. Users can test games before they gamble, and even people who won’t gamble can play these games as they would any other free Web game. NetEnt has now published more than 100 unique online casino games. Not all of these are slot mashines. NetEnt has also published lottery games as well as versions of casino classics, such as baccarat, blackjack, craps, poker and roulette. This list is quite extensive but too long to complete here. NetEnt diversifies to reach all gamers, and it provides a multitude of options for all games so that users can experience the games to their particular tastes. This includes catering to mid- and high-rollers as well as the casual audience. Net Entertainment has clearly established itself in the world of virtual online gaming. Few companies in this industry can claim such success, but NetEnt refuses to rest on its successes. The company continues to innovate, and this includes behind the scenes, such as with security. All data is encrypted according to modern standards, and when new technologies come available that can protect users better, the brand is quick to embrace and incorporate them. This is true for payment systems as well. NetEnt also ensures user convenience by offering a wide selection of payment options that are fast and safe. NetEnt also allows for transactions to be carried out free of charge and in real-time.